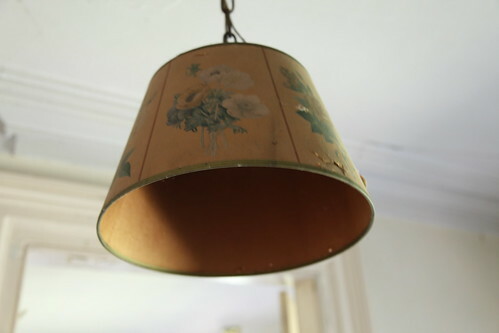 On the 2nd floor, just around the top of the stairs, was this vintage floral lamp shade. Unlike all the other light sockets hanging from the ceiling elsewhere on this property, this one still featured its original lamp shade. No other information was apparent that provided any clues as to the vintage or origin of this lamp shade, although it had a very aged look.